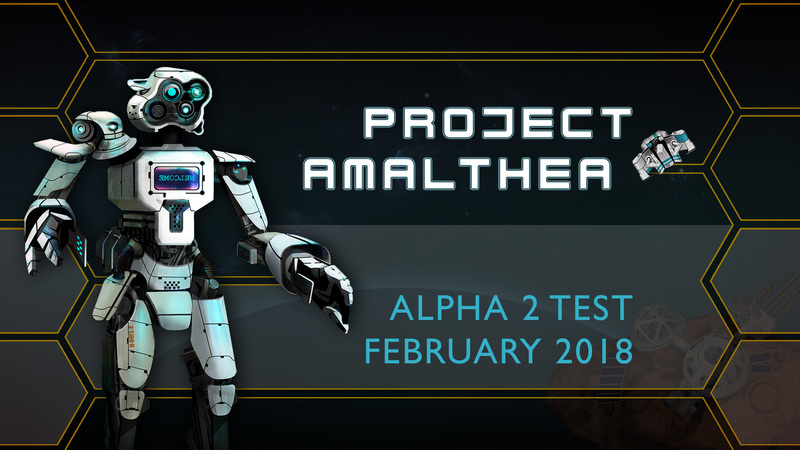 Project Amalthea Alpha 2 Testing has begun. Hurry up if you want to participate! Fellow Gamers and Space Fans! After 18 months of development we're finally ready for massive test of our game, not just the local dev runs as we did before. It was a long way from the raw idea to the marvelous game we have now, but we are still nowhere near the end. At this very moment, Project Amalthea is ready for action: we're testing massive PVP, cooperative runs, night-long battleground duels, obtaining own space property, hunting for trade deals and craft recipes. Of course, there are problems, bugs, disbalances and planning failures. For example we failed to provide manned English translation for all the texts and messages - we simply underestimated the huge amounts of work needed to re-read and localize them all. And our skill tree implementation level is far below the acceptable 50% margin. However, we are working hard on the project and hoping to make it ready for beta testing and wide auditory later this year. If you are interested in joining the ranks of our testers, if you are eager to traverse the Jupiter low orbit - drop us a line at amalthea@runserver.net!